Priority Question. Multiple Counter spells. Pact of Negation is blue. 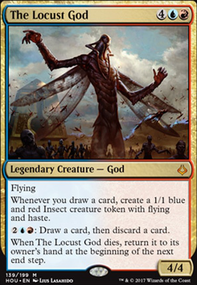 I would argue the lands are the most crucial as at the end of the day you do need to make your colors for this deck very effectively, and you need the duals for helping your Pentad Prism math. With your remaining starting budget I would get all your scry lands, the artifacts (or else you will never win quick enough without them), Simian Spirit Guide , and the actual wincons. Anything left over after that should go to cantrips and Spoils of the Vault , unless of course it is enough to buy a few of the other lands. As for the 2 remaining Pact of Negation , for the time being you can get away with running 1 Echoing Truth and 1 Desperate Ritual in those spots, that should save you some money until you can upgrade them and if control isn't a problem where you live this should be decent for now. You can also throw a Solemnity into the deck for the time being seeing how your ability to stall will be hampered by your lands. Keep me updated on your progress I am always willing to help out as well! Thanks for some fo the recondmendations so far. I am aiming for around the $250 dollar mark. I currently have all of the cantrips, a single Pact of Negation , and a set City of Brass but that is it so far. 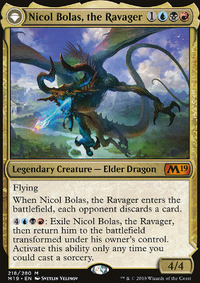 I think that cards that seem most expensive in the deck, without being the most crucial, would be the lands(specifically the fast lands). Since Leyline of Sanctity will cost around 100, and most of the other crucial parts( Angel's Grace , Lotus Petal , Ad Nauseam , and Phyrexian Unlife ) Will probably be around 100. Where should I invest my remaining $50+, since a set of only 4 fast lands would really take most of that budget.? Yes, your opponent can target the same spell more than once for countering if they have enough counterspells. It's still a valid target, after all, since it's still on the stack. They could also target Dovin's Veto if they really wanted, but it wouldn't do anything when it resolved (kind of like casting Murder on a creature with indestructible). 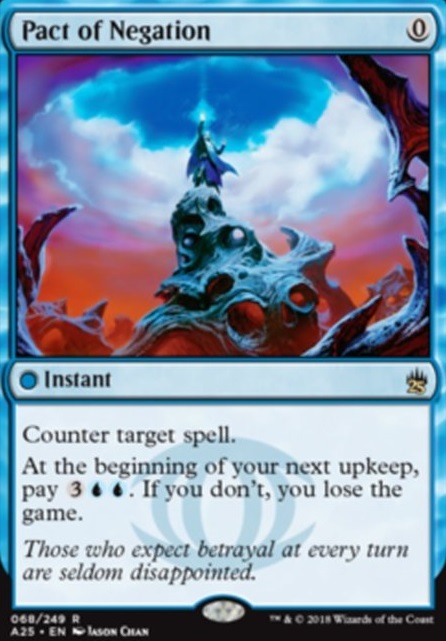 What happens is that unless you have another way to counter Pact of Negation , as the top card of the stack it will resolve, countering Jace, the Mind Sculptor . 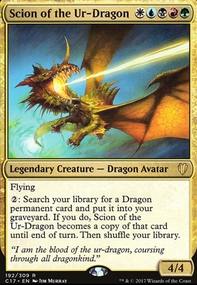 Then the next spell, Dovin's Veto , will resolve, countering Negate and leaving an empty stack behind. 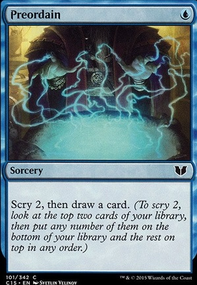 Since Pact of Negation is on top of the stick it will counter the next spell on the stack, which is Jace, the Mind Sculptor . Both other counter spells will be countered afterwards since the original Target is now gone. I cast: Jace, the Mind Sculptor My opponent casts: Negate I Cast: Dovin's Veto My opponent casts Pact of Negation targeting Jace on the stack. @Catpocolypse I completely agree with removing Phantasmal Image . There were definitely a lot of times when I would draw Phantasmal Image while playtesting and wish I had one of my big hitters in my hand instead. 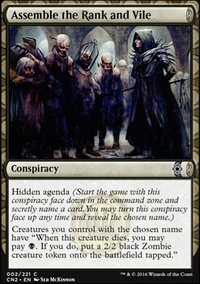 I am, however, hesitant to run Pact of Negation in this deck because I'm already running Summoner's Pact . While playtesting this deck there are a lot of times where I rely on Summoner's Pact to get a creature out to ensure an early game win and I don't want to get caught using both Pact of Negation and Summoner's Pact on the same turn and losing the game. T3: Cheat out Emrakul, the Aeons Torn and proceed to win the game. Deck talk now. I would drop the Phantasmal Image . 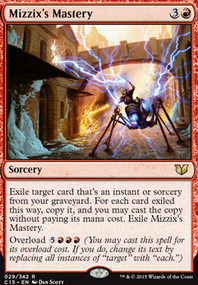 Anything you would copy could easily win the game on its own, and ElvishPiper rulings state that the card MUSR be in your HAND, which makes Phantasmal Image useless when you could be hitting an Emrakul, the Aeons Torn instead. I'd add 2 copies of Emrakul, the Aeons Torn and 1 more copy of whatever threat you favor most after that. I would also look at Pact of Negation instead of Mana Leak , just because with the past of this deck, I'd imagine thst you don't often have any mana open for very long.